Arsenal reportedly believe head of recruitment Sven Mislintat’s connections in German football can see them pip their rivals to the transfer of Hamburg wonderkid Josha Vagnoman this summer. The Gunners are up against Chelsea and Everton for the highly-rated teenager, but believe they are in a strong position to win this transfer battle due to Mislintat, who is a big admirer of the player, according to ESPN. Arsenal are well known for bringing in some of the world’s best young talent and giving them a chance under previous manager Arsene Wenger, though it remains to be seen how much this policy will continue under whoever comes in next. BBC Sport report that Unai Emery is the man set to replace Wenger at Arsenal, and the Daily Mirror have claimed he’s unlikely to have much say over the club’s work in the transfer market. 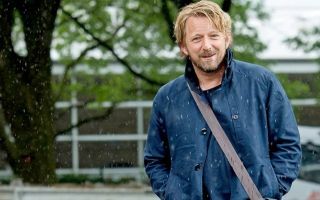 Mislintat has a strong record from his time at Borussia Dortmund and fans should be pleased to see him identifying a big prospect like Vagnoman as a potential addition. The young defender is set to be offered a new contract at Hamburg, but the club seem resigned to the fact that he could be on his way out, according to ESPN.